These are just my thoughts on the possible futures for the U.K. with the constant talk and warnings of a possible referendum on Europe in the U.K. David Cameron the U.K. prime minister is going to deliver a speech on the subject this Friday in the Netherlands, this will decide his future as leader of the conservative party, he himself wants to see repatriation on powers but to stay in the EU, a significant minority of his party already want the U.K. to leave the EU already and almost all of the rest want varying degrees of repatriation of powers back to the U.K. In Europe there is increasing annoyance and irritation with the U.K. being a reluctant partner and there is no real appetite to give the U.K. powers back in the scale that most people want, leaving a big problem for David Cameron and a big choice for the U.K. Choice 1: Stay in the European Union and try to reform it to more liberal/British principles: This is the situation that most politicians and a large proportion of the British people would like. Less of a social Europe and more focused on extending free trade, reducing regulation, reducing bureaucracy and adding democratic accountability. This is pretty unfeasible in short term negotiations, there isn't a real appetite for a more liberal system on the continent at the moment with much of Europe blaming the liberal economy for causing the current crises. However over time (perhaps decades) with a Anglo-Saxon lead alliance a charge for a more liberal Europe can be made as Britain and Germany share a lot of economic ideals. However this will require a good relationship between leaders with no hostility and current conditions don't help with sincere constructive negotiation. The British people are also growing increasing impatient with; UKIP (EU referendum party) rising from 4%-14% in the polls in only a year, conservative MPs becoming increasingly rebellious and determined on the European question, that it is highly unlikely that this sort of negotiation will be allowed to happen unless the British people get and in-out referendum and choose to stay inside, which itself is unlikely to happen currently. By 2050 the U.K. is predicted to be the largest economy in Europe and 10th largest in the world due to the rise of the developing nations (although there is some doubt now as they are slowing down) this could allow the U.K. to remain as one of the most economically prosperous and influential countries being the leading member of the European Union in policy alliance with Germany and other northern European States against France and the club med countries. 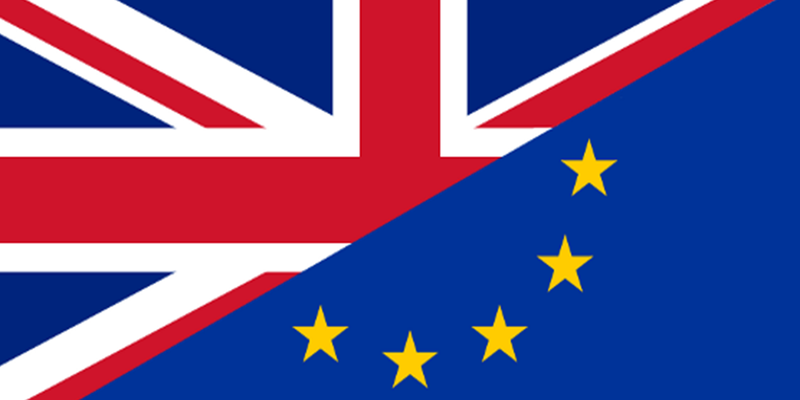 Choice 2: Leave the European Union and Seek to rekindle Commonwealth ties: This is the situation that the right wing of British Politics would prefer with UKIP seeking to set up a commonwealth free trade agreement if they were elected into government. This to me seems very unlikely to happen across the whole commonwealth as it contains a vast array of different members many in Africa which don't have fond memories of Britain for obvious reasons and any European union style of integration of the commonwealth would be unthinkable. 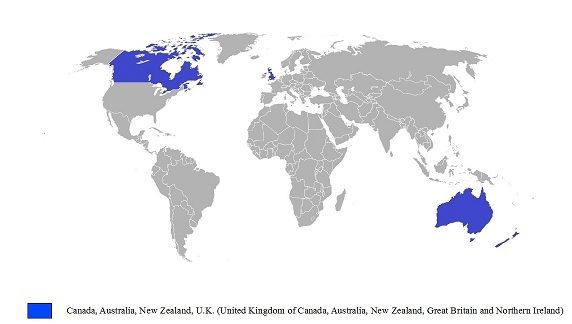 However seeking to increase CANZUK (Canada, Australia, New Zealand, United Kingdom) co-operation and ties outside of the European Union could be a possible route to take. There are strong cultural ties between these countries which are not shared with other parts of the commonwealth in Africa and the Indian sub-continent. This project would be a very long term project but would allow the four countries which have a lot in common in all areas to stand together as one large voice on the world stage which can stand its own against the United States, China and other rising economies. However this would probably require Canada to leave NAFTA and the populations of the individual countries might not want to re-merge rendering this future improbable but possible. Choice 3: Leave the EU and go it alone: This is the situation some of the extreme Eurosceptics in the conservative party would like to do, seeking to try negotiate a free trade deal with the E.U. after leaving while seeking free trade deals with the rising economies which the E.U. does not allow. Without many of the unwanted E.U. regulations and policies, Business would be free to create many more jobs, fisherman would be able to fish more fish, there would be lower food prices, lower energy costs and the government and the people could pursue the economic and political agenda they wished. The U.K. could take a step back from the world stage and decide its days at the top are gone and just focus on increasing the wealth and happiness of it citizens, or instead it could try to keep its large influence and try to get to the top again on its own, this wont happen any time soon but who knows what is going to happen in 25, 50 or 100 years time perhaps the U.K. could take back its leading role from the united states or perhaps it could be a Singapore of Europe. The future of the U.K.? This is the most likely outcome as the CANZUK union has a lot of hurdles to jump and just over half (and likely growing, but that could change) of the U.K. want to leave the E.U. but there are many dangers if negotiations go sour with the E.U. a free trade deal could be denied upon leaving and other negotiations with countries could go badly meaning a isolated Britain in a global world relying only on its domestic innovations. However I do think its likely trade deals will be achieved Britain is the 6th largest economy in the world with good demographics for the future and a good country image in most parts of the world. I would support choice 2 but that is the least likely of the three to happen. So what do you think about the current situation, what do you think is the best choice if any and what impact do you think it will have on your country? It seems clear to me that mainland Europe lead by France and Germany are getting more impatient with the UK. Although they would like the UK economy to be a part of the "Europe project", they are starting to realise that the people in the UK and probably more importantly, the ruling government has no intention of joining the euro and becoming the United States of Europe. I think that the UK should count itself out of everything in Europe that is not the free trade and freedom of movement which is granted by being a part of the EU. We should stop funding the European bureaucracy and go for lean efficiency which will make the UK a good place to do business in the future. The reason? The ruling elite in Europe are completely unaccountable to ordinary people. Nobody knows who their representative is in Europe, and if they did it wouldn't make any difference. The EU is run like FIFA, not like an actual democracy. People say that the UK will be isolated but I think that is rubbish. The UK is a major economy in the region, so even whole of mainland Europe together cannot ignore our potential business. A special arrangement for UK businesses would be inevitable even if we weren't part of the gang. I'm actually not even against the European project in principle, but the whole thing is so fucked at the moment the only thing to do in my opinion is to take it right back to the beginning and start all over when there aren't so many countries in ridiculous amounts of debt, there aren't so many unaccountable decision makers, and there isn't so much money which each country donates into a big hole, that disappears to god-knows-where. About Australia... They've been losing a lot of jobs lately. I hear iron ore took a good hit, too, today. RBA has been cutting rates. the french(and its government) know the english do not want to be a part of the eu(nobody forgot the refusal of the euro),and we read pretty much every week in the papers that London has special rules applied inside the eu,and that england is asking for more. obviously were not the best of friends to start with,but that just adds up. if theres one things were following about uk politics,its the possibility of the referendum. as for me,my mind tells me the eu needs everyone at the moment,my french heart tells me that the sooner you guys leave,the sooner youll stop pulling in the opposite direction! ps:option 1 is mainly bs,germany does not share uks views on economy and the main pull has always been the franco german axis,with london as a counterpower. uk might be the first economy in europe in 40 years,but right now its the third and by far,and the choice of staying out of most of eu policies makes it impossible for the uk to have any kind of control or leadership. edit:btw there is no free movement between europe and the uk(at least for individuals),as there still are borders and need for passports. Yep, there's been a fair slow down in the job market. Interest rates are still at 3%, about where most economists like it to be, but they did cut it in December which is a bit of a worry. Basically our economy is running on the back of our mining exports, but that's forcing the AUS$ higher. Once it drops there'll hopefully be more jobs come back. As for forming a union with the UK again? Not sure. There's a lot of distance between most of our countries. I could really only see some political benefits of it. It would free up the regulation. Its true that the past few years that the franco-german axis has been the driving force and obviously the whole project is about those two nations never going to war again, but France has always taken a more regulated/protectionist view of the economy and I do think Germany and Britain do share the more liberal economic view and Angela Merkel wants to keep London in as a counterweight to Paris and the club med countries especially as relations between Merkel and Hollande are relative worse compared when Sarkozy was in power. It is true that Britain doesn't want to be part of a United States of Europe and doesn't want to join the Euro but we aren't the only country in that position there are 10 non eurozone countries in the EU and lots of different countries have various opt outs not just Britain. Having opt outs doesn't reduce our power within the EU we would still have MEPs and a Commisioner and be present at summits its just we are so unlikely to get the opt outs we want in the short term. The British are friends of Europe we have had a 100 year alliance with France and historically great allies of the old German nations (usually against France ) we dont want to be part of a federal europe but we do want to trade, share movement of peoples and the fudamentals of the european union just not the federalism, but we wont stay at any cost to the U.K.
the core of the eu is willing to do anything to have the eu stand,as proven by the greek crisis. the uk is ready to bail at any sign of weakness(politically or economically). thats the attitude that ll make it impossible for the uk to have any kind of significant power/leadership over the direction of the eu. the relations between merkel and sarkozy werent that good to begin with,sure relations with hollande are worse,but she wont be in power for the next decades. schroder would probably have been best pal with hollande,as he already was with a french president at the opposite side of politic views. you rightfully side france with the *club med* countries,but be assured that frances and germanys plans for the eu are the same,USEurope.Whatever road were taking,thats where well end up,probably with a smaller core.The join armies of france/germany is close enough(still decades),the currency is obviously the strongest link,international politics are mostly joined(france is pushing strongly for germany to have a permanent seat at the UN),its only a matter of time before we become one multilingual identity(not forgetting the *original* members of the eu). thats something the uk would never support,and so a kind of strong scission is bound to happen. Just recently there was survey in Germany and France, where 98% of the germans said they liked France and 97% of the french said they liked Germany. I seriously doubt that Germany will grow closer to Britain than to France in the next few decades. Thank you for the blog. It is also nice to see these types of geopolitical discussions on TL. The U.K. isn't willing to bail at any sign of weakness, this has been building up for 40 years and the Euro crises has intensified the feelings of Euroscepticism. Most people would still like to be an EU member just with less centralisation in Brussels. I agree French and German plans for the EU are the same and the people of France and Germany mostly support integration, Its hard to see how the people of the other countries support increasing integration with several referendums giving no votes to the proposed constitution and to bailouts, even the French rejected the EU constitution, but the leaders of these countries and the bureaucrats do support integration. I didn't read the whole thing yet - I just wanted to chime in and say that the British and German economic cultures are nothing alike, which you seem to suggest in the first paragraphs. This is contrary to what someone not familiar with German politics might perceive, just by looking at the European push for austerity by Merkel's government. Germany's economy has always had a social touch with strong unions, even fostered in parts by our conservative parties. Google Ludwig Erhard's "Soziale Marktwirtschaft" (as opposed to "Manchester capitalism", often used as synonym for the Anglo-Saxon style of capitalism). The liberal, very pro-market forces only gained in influence in both rightist parties (CDU+FDP) and even to some extent in the SPD under Schröder at the end of the nineties. Merkel's push for austerity is only supported by the public because it doesn't affect German voters (yes, very hypocritical, I know). There are strong and loud calls for more regulation of the banking sector and stock markets, just like in France. These propositions are typically blocked by the UK, no wonder, considering they are the finance sector's powerhouse. Imho, Germany will not be an ally for a push of a more British union in the near future. Either the Union integrates more closely soon (hopefully in a more democratic fashion!!! ), or it will break apart (maybe with a core remaining). My personal hope is (and has been for several years) that the UK should leave the EU as soon as possible. Nobody is happy with how things are going and it's not likely to become any friendlier as more and more laws are being equalized within all participating members and more things become regulated by central bodies with the mandate to edict the rules for branches throughout the whole EU. I would rather have a strong UK within the EU because I think it would benefit both parties greatly, but only if the UK submits to the same rules as all other participating nations and that's not going to happen anytime soon. If the UK indeed leaves the EU I hope for you that they can pull of the CANZUK option although I don´t know how viable it is. The coalition you are describing there sounds very interesting and might play an important role in the world. But if the UK wants this I also think they should move rather quickly as I think we will see more and more of these "powerblocks" in the future. And with Australia tightening the bonds with the south eastern countries and Canada in the NAFTA it might be difficult to disentangle them to form this new alliance. After the UK leaves the EU I think it will also be easier to deal with France because I get the feeling that a lot of the obstructions they place in the governing of the EU is because they don't want to look weak against the UK. A nation they have quarreled with for the longest time of history since the middle ages. Hopefully we can abandon this folly of a governmental move to Strasbourg once per month very quickly and perhaps even introduce an agricultural reform that will allow us to severely cut back on the subsidization of the France agricultural sector. Both these things would save a lot of money that can be put into use more effectively in other sectors imo. ps. I know the Netherlands also receive a sizable amount of agricultural subsidization but I would gladly give up parts of it if that means France will do the same. David Cameron has cancelled his speech due to the Algerian hostage situation, disappointing but i'm guessing there is some pretty bad news coming our way.